When we look at the architecture and the interior design of buildings dating back to somewhere around the end of the 19th and beginning of the 20th century, and then look at modern architecture, which has no decorations, no style, no nice sculptures on the buildings, no marble flowers, and other natural materials, it makes me think more and more: People, what is wrong with us? Is this degradation or degeneration that we are not able to create things like that 100 or 150 years later? Modern architecture is all blocks of large fabrics, no small details, no beauty, no harmony, all the forms and minimalism…I wish we could to go back to the time where beauty was king, and where there was real creative energy in the art of crafting and working with natural materials, beauty and harmony. 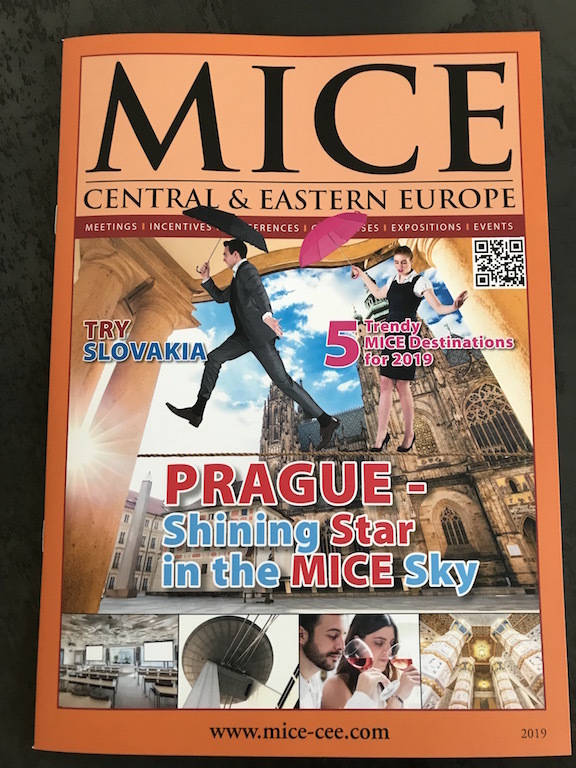 However, I have good news for people like me: yes, you can do it – just go to central and eastern European cities. If you like classical music, Art-Nouveau, the beauty of sculptures and decorated interiors dating from the past, you can find in Budapest many beautiful and historic venues that will make your meetings or events very special. The Hungarian State Opera House is one of the most beautiful opera houses in the world. Created in the neo-Renaissance building, it opened in 1884 after nine years of construction. The first director was Ferenc Erkel, then Gustav Mahler held the post for several years, and Giacomo Puccini directed the premiere of two of his operas here. It is absolutely worth a visit even if you are not a big fan of the opera: the energy, beauty and atmosphere make this a great venue for any number of events for up to 2,000 people (Theatre Style). 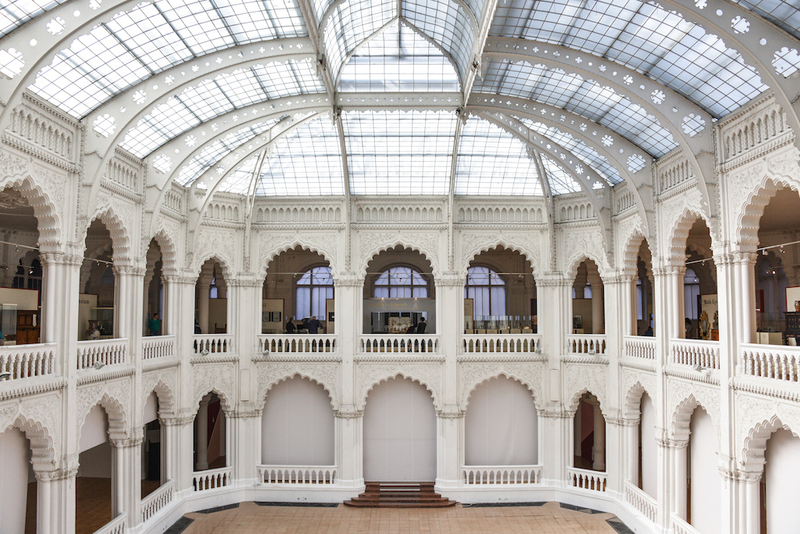 Another place where you will be struck by this atmosphere of peaceful beauty is the Museum of Applied Arts (on the picture), established in 1872 as the third such museum in Europe. From the harmony of the building and its function, with its high artistic level of mass formation and the individual style of decoration, the colourful dome clad with Zsolnay ceramics, we completely understand that Hungarians want to keep all of this beauty out of the interest of “immigrants” and their destructive energy. All of us Europeans should. The museum does not have a catering service but can hold events for up to 420 people. The Hungarian National Gallery (the main picture) occupies the central building of the royal palace, on Castle Hill in Budapest, and offers a commanding view of the city. There is a conference room that can accommodate up to 550 people (Theatre Style) and up to 1,200 for a cocktail party or reception. The must-do is to try one of the many spas. Budapest has held the “City of Spas” title since 1934, as it has more thermal and medicinal water springs than any other capital city in the world. There are 118 springs in Budapest, providing over 70 million litres of thermal water a day. The temperature of the water is between 21 and 78 degrees Celsius. Today, there are 15 public thermal baths in the city, not including the private thermal spas established in some luxury hotels, such as Danubius Thermal Hotel Budapest (Margitsziget) and the Corinthia Royal or Ramada Plaza. The spa at the Hotel Gellért is a public bath. You can also organise your events at a resort and offer your delegates unforgettable moments. The most well-known spas are Gellért Spa, Széchenyi Spa, Dandár, Király, Lukács Spa, Rudas Spa, and there are many more. The Gellért Thermal Spa and Hotel were built in Art-Nouveau style, opening its gates in 1918 and was extended in 1934. The water, which rises from a hot spring, contains calcium, magnesium, and hydrogen-carbonate as well as sulphate-chloride and sodium with a significant amount of fluoride ions. 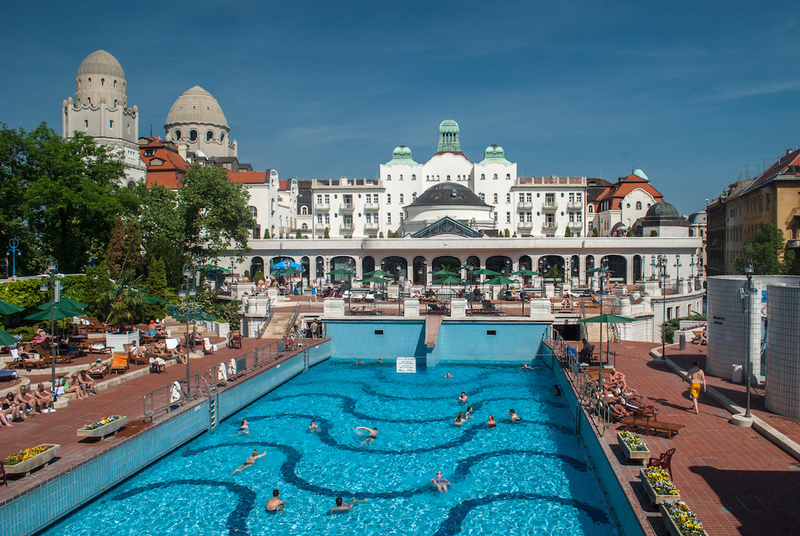 The water in the Széchényi Spa, one of Europe’s largest spa complexes, is also healing water, with calcium, magnesium, hydrogen-carbonate, sulphate-chloride, and more. The Marble Room, which you can hire for your events, has the capacity for 150 to 200 people. You can also use the spa at the same time and book it for your group. Apart from the spas, there are many possibilities and options as far as exciting activities go in the city. For ladies, in Budapest you can see and buy some Hungarian specialities – you can find flagship stores on the tree-lined Andrássy Avenue (Ut). Here, you can find vintage clothing or antiques, leather clothes, and there is also an incentive programme in the Art-Nouveau-style building, where a private fashion show for up to 50 guests with champagne and canapés can be set up. 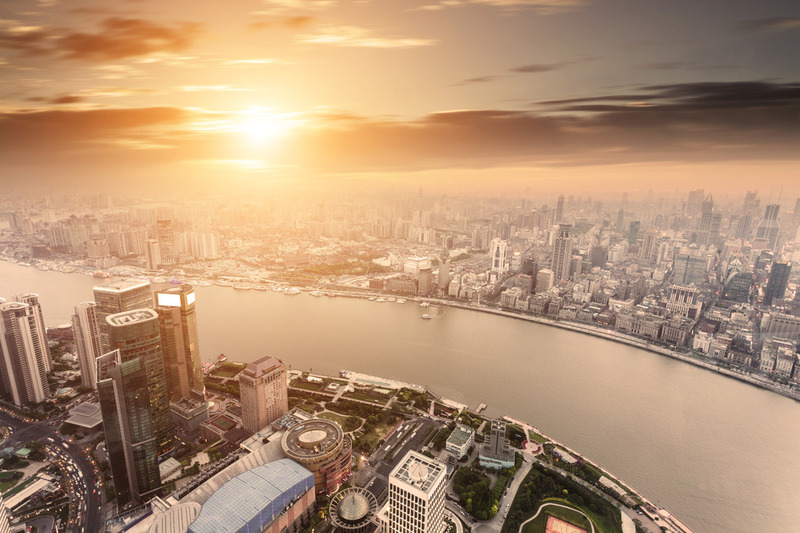 In recent years, in the meetings industry in general, incentive programmes which include doing something active have become popular, where you can learn and experience things on your own. For example, in the country of strong people led by Prime Minister Viktor Orbán, you can learn from Herend how to paint on porcelain – the Porcelanium Visitor Centre comprises a Minimanufactory, a porcelain museum, a shop and the Apicius Café. You can be sure that the speciality teas and coffees, as well as the food, is served on Herend Porcelain (55 people is the most they can accommodate).